Andrew Ervin’s darkly comic debut is about more than drinking scotch. 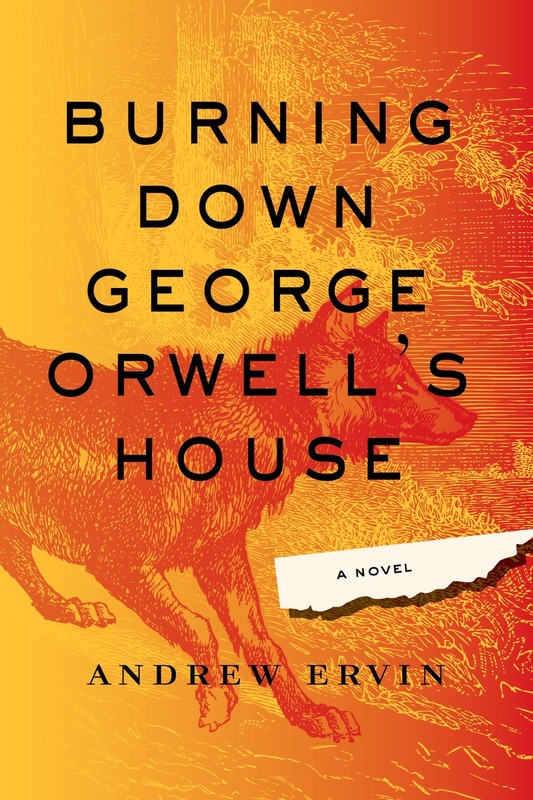 Here are a few suggested questions for you and your book club to consider after reading Burning Down George Orwell’s House. They myth of “getting away” is as enticing as it is old. But the desire to “unplug” or cultivate personal time seems to be even more prevalent today than, say, forty years ago. Is our constant connectedness to smart phones, the internet, and other forms of technology increasing our desire for “escape”? Ray Welter is desperate to escape his job, lifestyle, and in many ways, modern society itself. He soon finds that even in a place as remote as Jura there is no avoiding it, as the locals have already “looked him up on the internet.” Is “going off the grid” even possible today? Ray built his career as a Chicago ad-man on his ability to anticipate and exploit the way people try to exert their free will. His “Oil Hogg” campaign was based on making people believe that they were defying an intrusive government by purchasing large, gas-guzzling SUVs despite environmental and fiscal concerns. In what way is Ray’s personal journey to Jura also the product of manipulation? Can you think of products you’ve purchased because you wanted to do the opposite of what you were being told to do? A part of Ray’s romantic vision of his stay in Jura is his love for Scotch whisky. Ray’s tipples are among the most vividly described internal experiences in the novel. But is Ray’s love for whisky sincere or just another part of his manufactured narrative of his life? The whirlpool in the Straight of Corryvreckan and the dangerous, rage-filled character of Pitcairn evoke the two deadly monsters faced by Odysseus in Homer’s The Odyssey. In Homer’s telling, Odysseus and his men have to choose between facing Charybdis, a monster dwelling at the heart of a whirlpool, or Scylla, an equally terrifying monster that lives across the narrow straight from Charybdis. In what other ways is Ervin’s otherwise very modern tale a classic telling of the hero’s journey? Farkas and Pitcairn represent two monsters within the story—one imagined and one very real. What can we learn about human perception from the supposed existence of a werewolf on the island and the often ignored violence of a very real sociopath in society’s midst? What does the werewolf represent? And the sociopath?